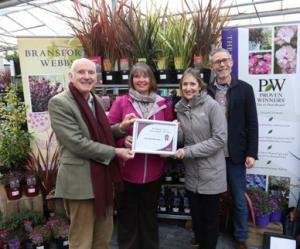 Squire’s Garden Centres held their annual plant show in West Horsley on 7th February 2019. Suppliers from the UK and abroad came to Squire’s to showcase their latest plants, ready for the spring season ahead. Squire’s also presented their “Supplier Of The Year” awards on the day. 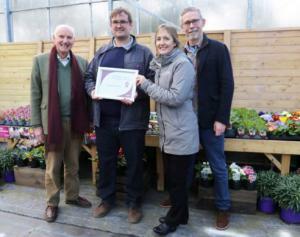 “Best Bedding Plant Supplier” went to Barnsfold Nurseries for the fourth year in a row, and Bransfold Webbs won “Best Hardy Plant Supplier”. The judging criteria included offering outstanding customer service, the quality of plants, and ease of ordering. Eighty percent of Squire’s plant suppliers are based in the UK and forty percent are located within 20 miles of a Squire’s centre – which means that plants miles are kept to a minimum and local growers are supported.